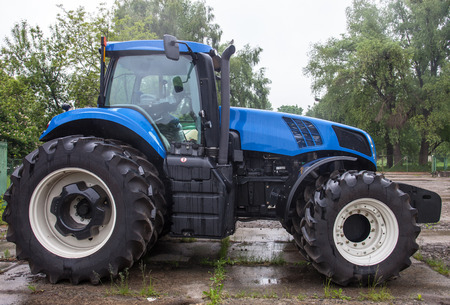 Get Ready for Spring at an Auction | Wilson Auction & Realty Co, Ltd.
Winter puts a halt on most industrial and agricultural companies due to the weather not being great for operations. However, spring isn’t too far away, and that means it’s not too early to think about getting ready to get rolling again. This year, get yourself prepared for the busy building and growing to come by attending a local auction. At the end of nice weather last year, maybe some of your farming equipment started to break down. Seeing it was the end of the year, you might have put off getting a new one because you wouldn’t need it any time soon. Well, time has caught up with you and now it’s time to get a replacement. By going to an auction, you may be able to find what you need cheaper than if you ordered new or bought new machinery from a used lot or direct from the manufacturer. This can come in handy also if, by some chance, you didn’t make as much off your products, crops or livestock as you did last year. A lower price can help you keep you from breaking the bank while getting you the equipment you need to get work done. For industrial facilities and operations, you may have a specific production line piece that broke down and is need of repair or replacement. Sometimes, depending on the age or complexity of the devices, turns out that the repair might so expensive it might not be worth it. That means you could buy a new or used replacement – or you could try your luck at an auction. You never know what might show up there. You may also be facing a larger volume or work to be done or need to plow and plant additional fields this year, jobs requiring more equipment than what you have available. This is another instance where an auction might be a great option. You might be able to find what you need to get the job done at an even better price, helping you save money instead of spending through your budget before the new production season even starts. Wilson Auction & Realty holds a number of industrial auctions and agricultural sales with a wide range of tools and equipment that can help your operation this spring. For more information on upcoming auctions, call us today at 419-636-5500.